For immigrants, people with immigrant backgrounds as well as native Finnish families and individuals. 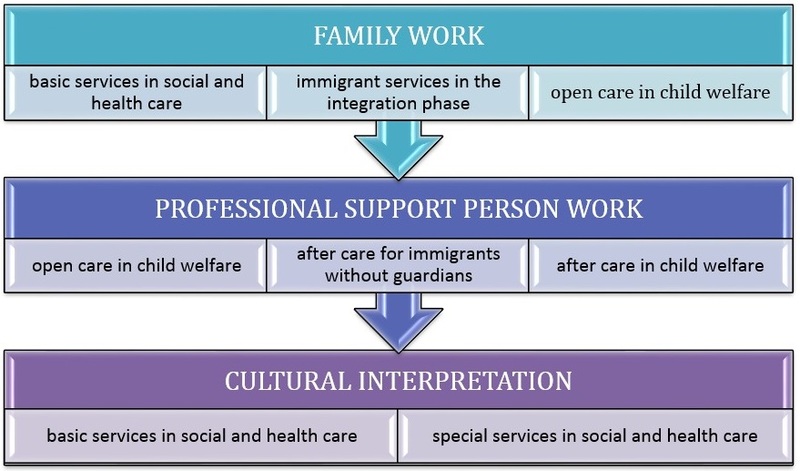 Face to face, mobile and culturally sensitive family work, support worker service and cultural interpretation. In the customers every-day setting 1 to 5 times a week, as needed. Meetings usually last 1 to 3 hours at a time.